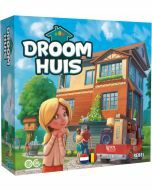 With the Dream Home: 156 Sunny Street expansion, you can spice up your next game of Dream Home with more helpers, tools, décor, rooms, and two new ways to play! With the "Family and Friends" mode, you can invite friends and relatives to stay over at your house, and with "Construction Plans", you score additional points by following specific construction requirements. 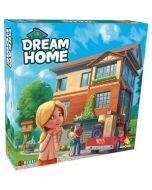 Dream Home: 156 Sunny Street includes components that allow you to play Dream Home with up to six players, while also including a solitaire version for when you're home alone.